Is your Texans-inspired man cave missing something? 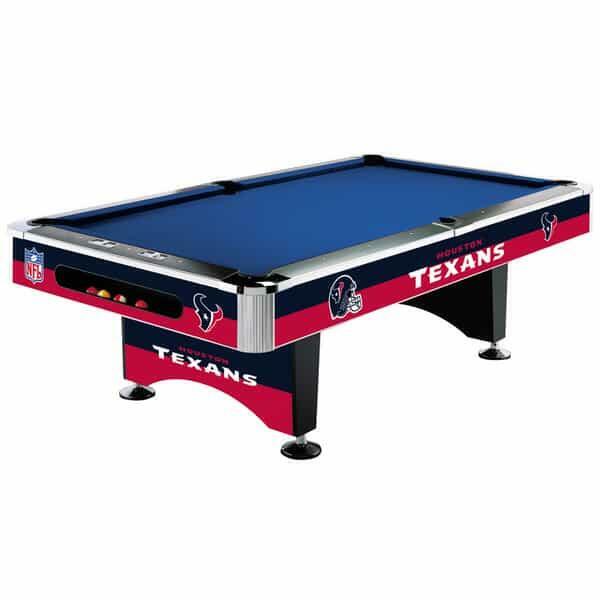 Short of Toro visiting your basement, the Houston Texans Pool Table from Imperial Billiards will create the centerpiece for any Houston-influenced game room. While maybe not as crazy as the Bull Pen, your new game room will become ground zero for Sunday football fanatics in your neighborhood. But be careful when you show this pool table to your neighbors! They may never want to visit Reliant Stadium again, preferring your comfortable and stylish game room to even their own home's couch. And this pool table is built using pro-grade materials and requirements, so the playing experience will be second to none.